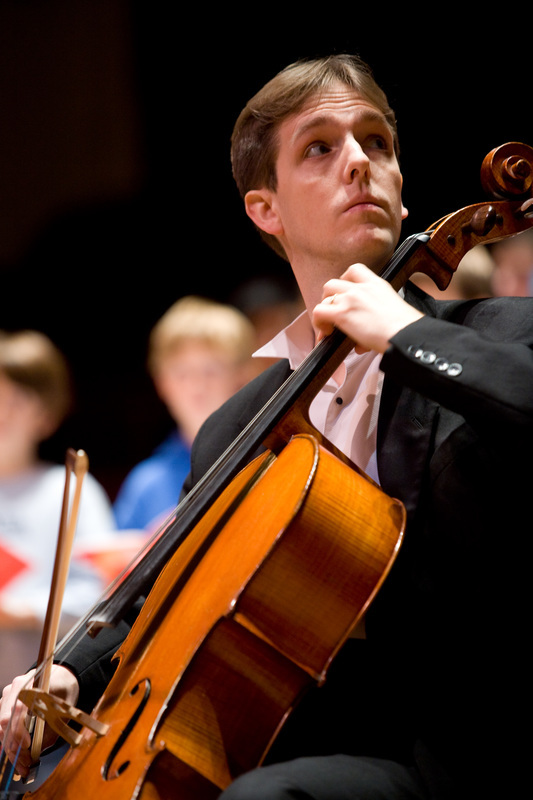 the world’s most prestigious concert halls, studied mathematics as a Choral Scholar at St John’s College, Cambridge, and was subsequently awarded a scholarship and bursary to study cello as a postgraduate at the Royal Academy of Music in London. Graham has performed as a solo and chamber cellist across Europe and North and South America; he regularly tours the USA, where in 2008 he performed all Bach’s Cello suites, an achievement he repeated around the UK, including during the Edinburgh International Festival. Graham is a highly respected choral conductor, and directs several choirs and orchestras; his first recording as a conductor, made when he was just 22, featured the music of Jean Mouton, a 16th-century Flemish composer, much of whose music was being recorded for the first time. Graham’s discography reflects his wide musical interests: he has recorded, variously as a cellist, singer and conductor, for Nimbus, Naxos, Chandos and EMI: his most recent recording for Chandos (“Hear my Words”, with the choir of St John’s College, Cambridge) is regularly to be heard on UK radio stations, and his third album with his Latin-American group Classico Latino (“Journey Through Latin America”) was warmly received by Latin-American critics and was pre-selected for the Latin Grammys in 2013. Graham’s work with Classico Latino has led him to discover the wealth of the Latin American musical repertoire, music which is almost entirely unknown outside the continent. With the group he has toured South America on several occasions, and in 2011 he was awarded a plaque live on Colombian national television in recognition of his “outstanding contribution to Colombian Andean music”. Alongside his work as a freelance cellist and conductor, Graham is Director of Music at Corpus Christi College, Cambridge, Director of St John’s Voices at St John’s College, Cambridge and Musical Director of the New Cambridge Singers and of the Haslingfield Choir and Orchestra.